Back in the day, my friend used to host a cookie exchange party every year. 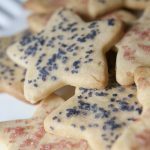 Everyone would bring about 40-50 cookies and the recipe printed out on an index card. 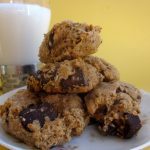 Each person would get to take 2 of each type of cookie as well as the recipe for each cookie. It was an awesome party and it’s something I miss doing each year. 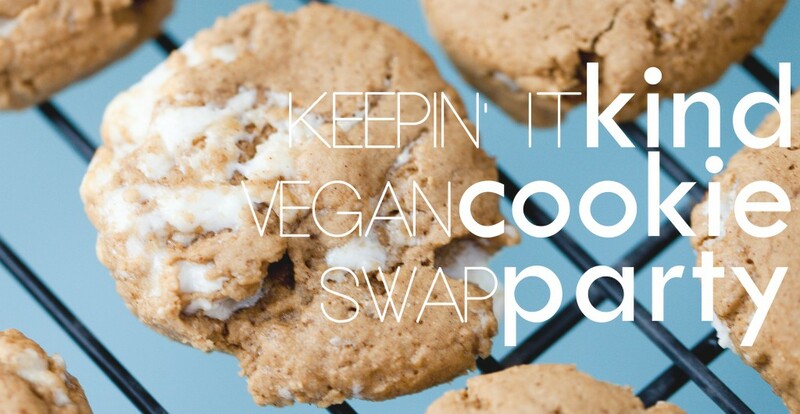 I am ecstatic to tell you all, however, that for the next month, I will be hosting a virtual, vegan version of this cookie swap party, with tons of guest posts from some of my favorite bloggers. Keep checking back to see who brings what type of cookie! Today, I am so excited to have Somer from Vedged Out to get this party started! I’ve been following Somer ever since she was part of another blog, and instantly fell in love with her compassionate heart, her creativity, and her enthusiasm. 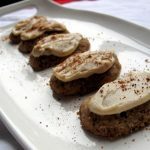 Her desserts are always just to die for, so getting to share one of her dessert recipes here is such a gift. 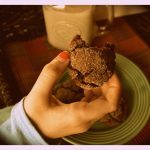 First, a huge thanks to Kristy for hosting this “Vegan Cookie Swap“! 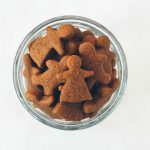 I’m so honored to be a part of it and to be the first to share my cookies with you. 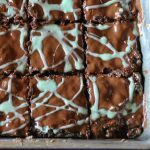 These “Brookie Grasshopper Squares” didn’t turn out exactly like I planned. I wanted to be more like cookie bars. They protested and were more like brownies. But hey, I’m not complaining, hence the Brookie Title! I’ve always loved grasshopper cookies, girl scout thin mints, and anything to do with peppermint and chocolate. Tis’ the season! 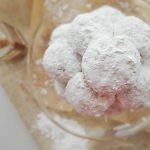 And since I was feeling generous I wanted this to be a recipe I could share with everyone’s happy tummies so I made them gluten free (optional), egg free, dairy free and nut free, however these are NOT sugar free or fat free, but I think you’ll forgive me! Method: Preheat oven to 350 degrees. Mix dry ingredients together with a wire whisk. Add peppermint essential oil or peppermint extract and whisk again. Add wet ingredients and stir all together with a wooden spoon until just combined. Press into a oiled 9×9 square baking dish and bake for 30 minutes or until a toothpick comes out (mostly) clean. Set on a cooling rack to cool. Method: Melt the chocolate chips and the coconut oil and then stir until no lumps remain. Add the peppermint and stir until combined. Pour over “brookies” they can still be warm when you do this. Smooth all over the surface with a silicone spatula. Let cool completely in fridge or freezer before adding the grasshopper icing. Method: Combine all ingredients with a wire whisk in a small bowl. 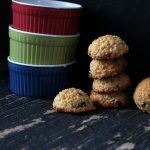 Pour the icing into a small ziploc, snip off a very tiny corner and drizzle over completely cooled “Grasshopper Brookies”. Cut into 16 squares. Share, this is a cookie party after all! Thanks for stopping by and be sure to come back on Thursday to see who our next special guest is and what they bring to the party! Thank you so much, Somer, for bringing these ridiculously delicious bars! 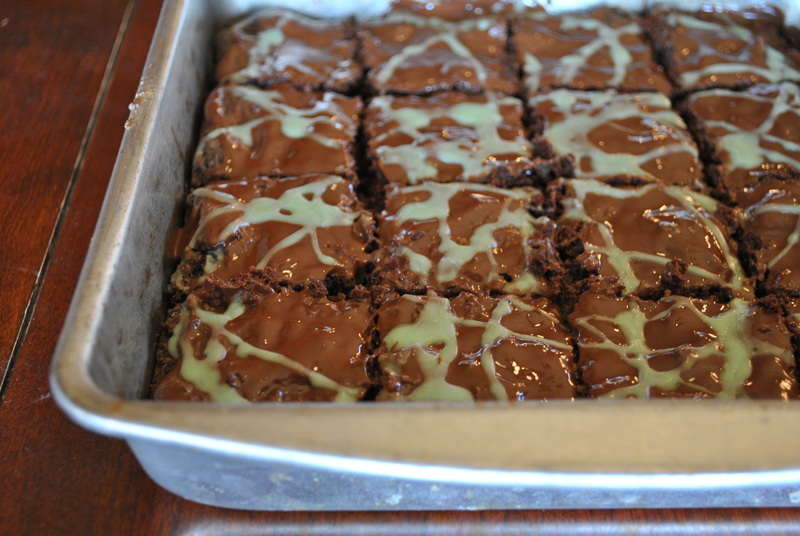 50 Responses to "Somer’s Brookie Grasshopper Squares"
Oh my gosh! So good! 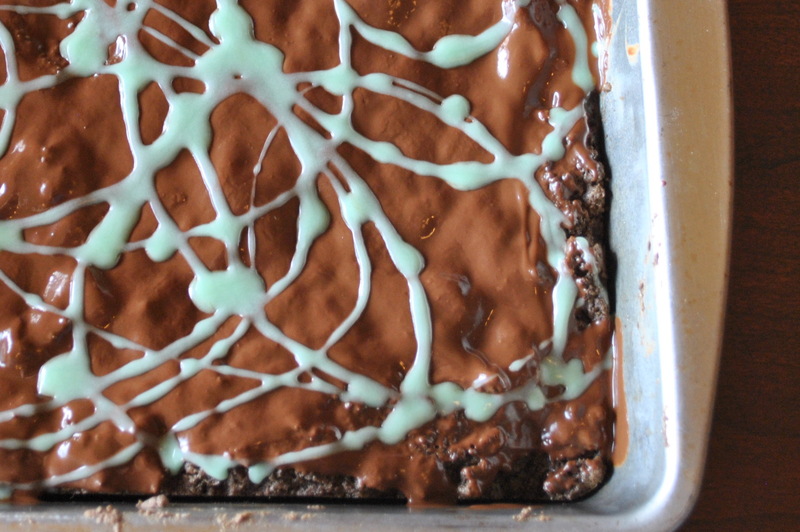 Chocolate and mint…perfect for Christmas. Clearly I need to step up my cookie game! 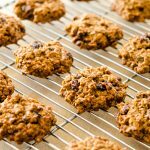 I all ready know what you’re bringing and your cookies are every bit as delish! I know, right?! 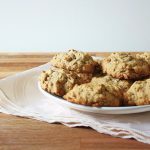 I have so many people in my family that would go crazy for these (and never have a clue that they were vegan AND gluten-free)! OH my, Somer! 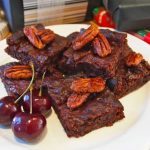 These do sound awfully nice – I love a good gluten free brownie (sorry, brookie) – delicious! You’ll have to thank Cara for her ingenious gluten free mix. I haven’t had much success with gluten free baking until I tried her personal blend 😉 Thanks Nick! These look amazingly delicious. 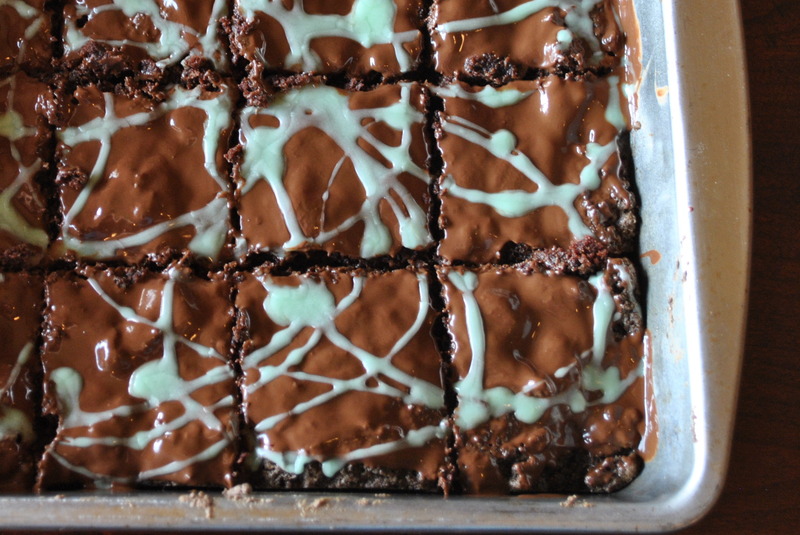 I absolutely love the combination of chocolate and mint this time of year – it feels so holiday-ish to me. I’m looking forward to the rest in the cookie exchange! I couldn’t agree more, Shannon. 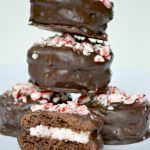 There is just something so holiday-ish about chocolate and peppermint- These will definitely be brought to family gatherings this year! 🙂 And thank you- I’m looking forward to the rest of the party too! I know- I wish this an actual party and not a virtual one because I’d love to be tasting one of these right now (rather than sitting in my office!). 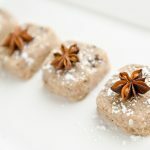 These sound delicious and perfect for the Holiday Season! 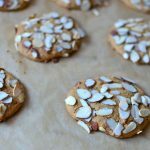 Can’t wait to see all the cookie recipes coming up! Haha! Love your moniker, Dog with fleas! I think I need these bars in my life! And a cookies exchange, thats just the coolest idea! They can so easily be yours! 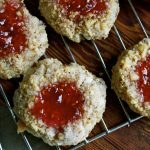 Despite the few steps, the recipe really is super simple! Thanks for coming over here Alexander! If this is where it is going to start, then this month is going to give me a whole lotta sugar high! Somer’s desserts do rock! 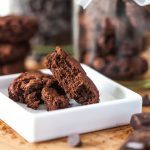 This sounds wonderful and I love your idea of a vegan cookie party. I will be checking back for more holiday ideas. Thanks to Somer for starting it off and thanks to you for hosting! Thank you for stopping by! I’m so happy you like the party- I’m so excited about it! 🙂 I will definitely be spending some time exploring your blog as well! They look almost too good to be true! Love the icing idea! The peppermint makes them so much more appropriate (and justifiable :)) for this time of year! Yum! Oh man! These look goooo-oooooo-ood! Thanks Susan! They were a huge indulgence, and we loved every last bite! YAY Somer, YAY Kristy – what so you have!? Two of my favorite bloggers on the same page! haha a brookie, pure genius! hahaha! Thank you, Heather! And I know- I love the concept of a brookie! Thanks Heather! I’m pretty sure I stole “brookie” from somewhere, I’m not really that clever 😉 these bars on the other hand were pure genius! Oh, chocolate and peppermint is a magical combo in my book. I love this idea! I know- and that combo is so perfect this time of year- can’t wait to try them! 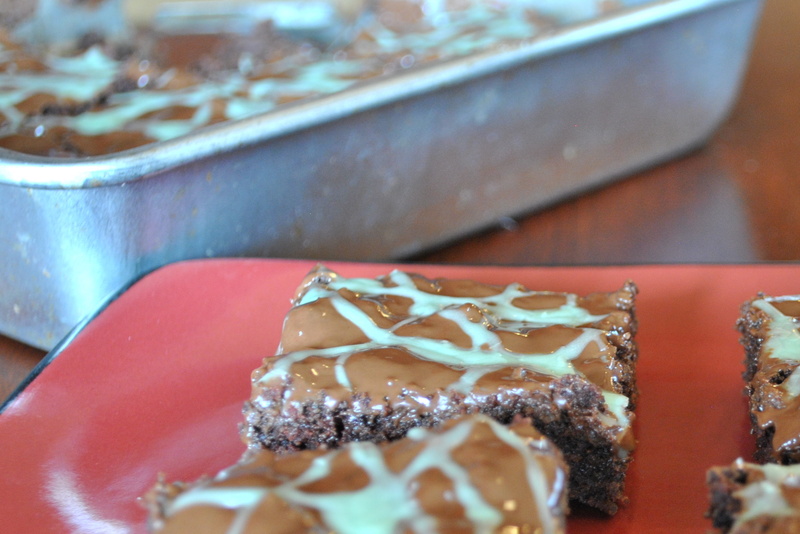 Chocolate and peppermint are so good together! This sounds fabulous! And of course, I’m always happy to see Somer. She’s such a joy! 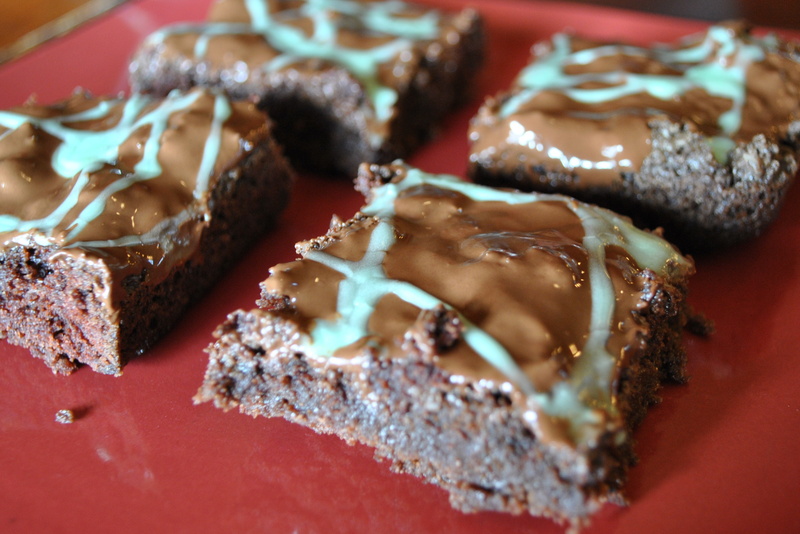 I made some sweet mods and turned these into legit brownies and now I can’t stop eating them.trouble I say, trouble.